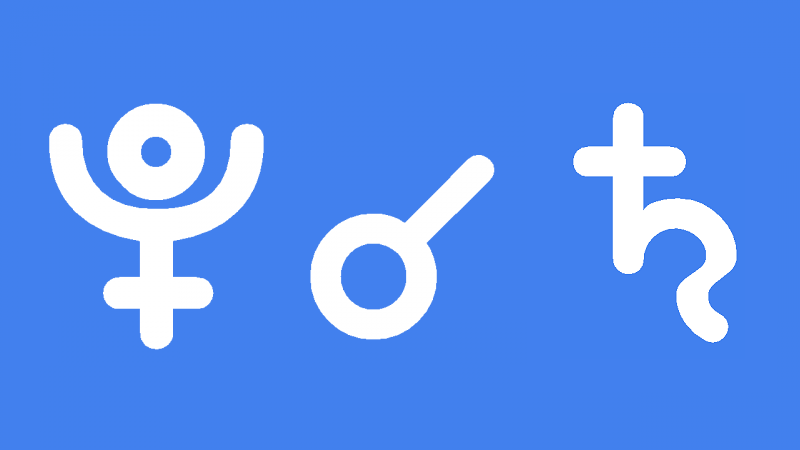 Pluto conjunct Saturn transit indicates a stressful year or more of difficult change. Some area of your life that needs to change will face powerful forces of transformation. It is usually the case that you will initially resist this change and feel threatened by it. You may become extremely determined and ruthless in trying to hold on, or keep going at whatever needs change, but deep down in your soul you know you need to give it up. The sooner you surrender what you are already losing, to sooner you can rebuild that area of your life. It is usually the structures, patterns and responsibilities in your life that are destined to transform. You may feel scared because it can feel like you are losing your security and stability. When you lose something you were clinging to, it is common to feel stressed and disoriented. The loss of something tangible in your life is a sign of inner psychological change. Letting go of your resistance or dependence will be liberating but in the short-term you may feel exposed, vulnerable and sad. The transformations you experience during your Pluto conjunct Saturn transit are often painful to endure but are necessary to make you more resilient and economical. You will become less dependant on others and on the structures and resources you have built up around you. They gave a sense of security, worth and stability but were actually retarding your spiritual development and evolution of your soul. Will be an exact hit on my 2nd Saturn return in my 4th. Soon after I will have my Jupiter return which is in wide orb to a conjunction with Saturn but in my 5th. Should I be worried? Wonder if I will loose where I live? Never owned my own home. Could that be possible now? Thank u. Very curious how this transition will manifest personally and in the collective. How do i know if i will have this transit ? I am not sure what to look for in my chart – can anyone explain ? I have got a friend whose natal Jupiter in 12th that will conjunct this transit at 22° ♑. The only positive aspect to Jupiter is an exact trine to her moon in 22° Virgo in 9th. Jamie, what’s your take on how this transit may impact her? Her rectified ascendant is 25° ♑. what about the Saturn conjunct Pluto transit coming up in the next few years…? On my Ascendant! I will be writing about it soon. I am also getting as many Saturn and Pluto transits done as I can because it is going to be felt so strongly. The conjunction will also be square your Venus. What Venusian pleasure is more fundamental than enjoying the pleasure of eating food? It is important to have a deep understanding that physical food is NOT necessary for human survival. It is a deeply engrained addiction of the collective human species. This addiction needs to be healed, like it or not. The dwarf planet Ceres will be at 22 degrees Capricorn conjunct Saturn and Pluto in January of 2020. What does Ceres symbolize? Also, at this moment, transiting Orcus is at 9 degrees 58 minutes Virgo conjunct your natal Moon at 10 degrees 54 minutes Virgo. This might be a good time to study Jeremy Neal’s book on Orcus. You can not afford to ignore the energy of Orcus. The Saturn/Pluto malifics will cause problems, no doubt, but with Uranus entering Taurus in May of 2018. We should get some real positive changes from the Trine relationship between the three planets in earth signs. Especially, if there are other planet(s) in Virgo in your chart, things can really go well. We need to see the bright side of this transit and make it work for us, no matter the severity, and with Pluto and Saturn involved that severity could be considerable, but not without relief from Uranus. God bless us all. Uranus can rock you to the core, even when it’s a trine. Be prepared. Humanity is complacent enough as it is! The Pluto-Saturn conjunction of January 2020 will also be conjunct the dwarf planet Ceres. Doesn’t Ceres have a lot to do with food and nourishment? I am transitioning to becoming a breatharian, minimizing my dependence on food and water to an absolute minimum. Most people feel that this is completely foolish. When 2020 rolls around, people will no doubt begin to take a different view of this. Thank you Genie. I will add Ceres to my Saturn conjunct Pluto post. Jupiter as well it is conjunct Saturn and Pluto the same year from memory. And Nessus too, please. This centaur travels in its elliptic between Saturn and Pluto. Hi again Gerald. Do you mean in association with the legalization of pot, or a post on its own? I should research Nessus on its own anyway. Added to the list! Saturn when it transits a sign wants to bring order. Unquote As it transits my ninth spirit house I was reading Breakthrough Astrology by Levine and it said saturn in pisces was resp. for spirituality like Dali Lama has saturn in pisces. I have been heavily concentrated for years and one of my kids has saturn in pisces. I ve been finding it very difficult to concentrate on it anymore and here its not even my path. So saturn brought order about spiritual responsibilities. Supportive parent perhaps but its not my form area. Anyways chiron and saturn in pisces took my kids pisces father away forever as chiron return exacted in his chart. Once mercury clears pisces direct motion it seems to me we re done. I ve no doubt changes will result from the loss in a large family.